Acknowledged author Deborah Barrett wrote Leadership Communication comprising 448 pages back in 2013. Textbook and etextbook are published under ISBN 0073403202 and 9780073403205. 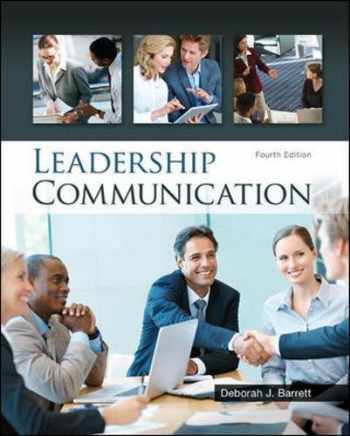 Since then Leadership Communication textbook received total rating of 3.5 stars and was available to sell back to BooksRun online for the top buyback price of $50.42 or rent at the marketplace. Leadership Communication guides current and potential leaders in developing the communication capabilities needed to be transformational leaders. It brings together managerial communication and concepts of emotional intelligence to create a new model of communication skills and strategies for corporate leaders.